We have learned some important details about the upcoming Joker origin movie. 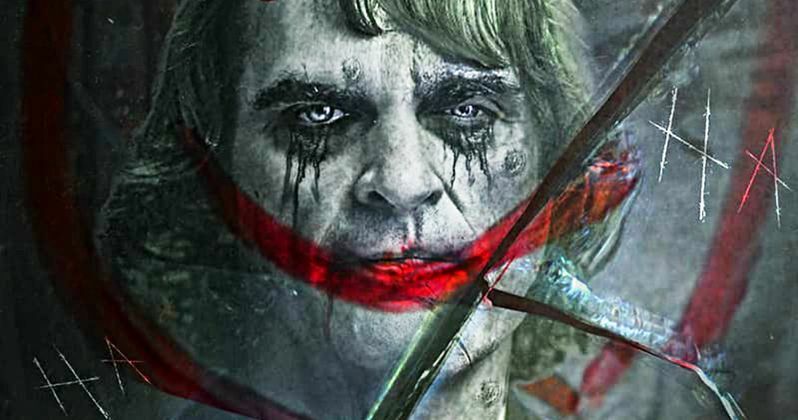 The project recently got production rolling under the direction of Todd Phillips (The Hangover), with Joaquin Phoenix set to star as the man who ultimately turns into the Clown Prince of Crime. The first batch of photos from the movie made their way online recently and those photos came with some reveals that tell us just a bit more in terms of what we can expect when this DC adaptation arrives in theaters next year. Todd Phillips shared an official look at Joaquin Phoenix in character. Not in Joker makeup, as this movie is going to show the man's transition into the DC villain. But instead, we got a look at the man we now know to be named Arthur Fleck. This name had been previously reported, but Phillips' Instagram post confirmed it. This name, as far as anyone can tell, doesn't have any actual connection to anything in the DC comic book canon. Since the character doesn't have an overly defined origin story in the canon, this movie will be taking some serious liberties in that department. Starting with his name. Another previously reported detail is that Joker will be taking some inspiration, but won't be a direct adaptation, of Alan Moore's iconic The Killing Joke. While it remains to be seen just how much of Moore's work winds up on screen, the first batch of unofficial set photos reveal a major connection to that particular comic. The photos show Arthur leaving a talent booker's office, Ha-Ha's Talent Booking, as the character is apparently going to be portrayed as a failed/failing comedian. We also see Arthur interacting with a grumpy-looking clown. It is believed that Marc Maron is a booking agent at Ha-Ha's. As it turns out, these photos take place in Amusement Mile. In The Killing Joke, this location plays a significant role, as the amusement park that the Joker takes commissioner Gordon to where the book reaches its climax is located on Amusement Mile. It's unclear if this will be more of a large Easter egg, or if the area will also play an important part in the movie's story. In any case, the influence is already clear. Who knows what's going to crop up as filming rolls on. It's also previously been reported that Martin Scorsese's The King of Comedy will be an influence on the project. Aside from Joaquin Phoenix, the cast also includes Zazie Beetz, Frances Conroy, Marc Maron, Bryan Callen and Robert de Niro. Originally, Alec Baldwin had been cast to play the role of Thomas Wayne, Bruce Wayne's father, but he dropped out rather quickly, with scheduling conflicts being cited. Baldwin's replacement has not yet been announced. Joker is set to arrive in theaters on October 4, 2019. You can check out the first photo of Arthur Fleck from Todd Phillips' Instagram account, as well as some of the other set photos, for yourself below.